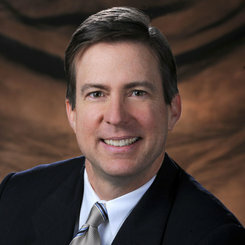 Dr. Anderson is a board certified Orthopaedic Surgeon with fellowship training in spinal surgery. He specializes in minimally invasive approaches to spinal surgery. Dr. Anderson holds the academic title of Professor in the Departments of Orthopaedic and Neurological Surgery at Thomas Jefferson University and is the Clinical Director of the Spine Section of the Orthopaedic Research Laboratory. He completed his residency training at the University of California in Irvine and his fellowship at Thomas Jefferson University. Prior to joining the Rothman Institute, he has served as the Chief of Orthopaedics at the Langley Air Force Base and Assistant Professor at the University of Virginia. He is currently the President of the Society of Minimally Invasive Spinal Surgery and active in the Cervical Spine Research Society, Scoliosis Research Society and the North American Spine Society.